With people’s incomes often times fluctuating and car insurance rates rising every year, it is important to take the right steps to ensure auto insurance rates are as low as possible. Those who don’t have a car but still drive from time to time and who eventually want to buy a car need to maintain liability insurance for themselves. If they don’t, they will be stuck paying high-risk rates for their auto insurance for at least the first six months they own it, and that greatly increases the cost of owning a vehicle. against people when they start to drive their own vehicles. A simple solution is to have a relative or friend carry someone as a named insured on their auto insurance policy for liability coverage only when possible. That gives the individual a recent history of being insured and won’t cause auto insurers to make them pay for high-risk car insurance. Individuals also can buy open auto liability insurance to any vehicle they might be driving for low rates and help to ensure they won’t have to pay high-risk rates for up to a year when they get their next vehicle. Motorcycles can be fully licensed, insured and ridden regularly, but if the owner of the motorcycle does not also have at least liability auto insurance, the motorcycle insurance will not count as maintaining auto insurance. Because motorcycles generally pose a greater risk to motorcycle riders than other vehicles or property, insurers want to see auto insurance coverage in place to help ensure no accidents or other driving mishaps have occurred involving the potential driver and policyholder. So if only riding a motorcycle, it is wise to also carry minimal levels of auto liability insurance. 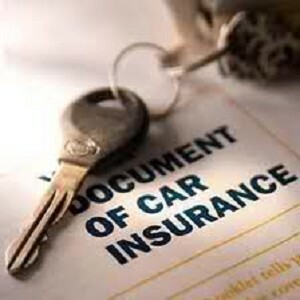 Are you looking to buy a car but don’t have current auto insurance coverage?